The first screening of three short films THE SHAME GAME, SPIRIT OF DANCE and AMBRIKSHANI was held at Prabodhankar Thakrey Natya Mandir, Mini Auditorium, Borivali on 19th August. All three films are produced by Sumukh Productions and based three different stories. Shweta Maval is only one actor who has acted in all short films with Parag Rughani, Prayas, Priya Subha, Rahul Vaidya, Nabeel Ahmad, Tarun axena and others. 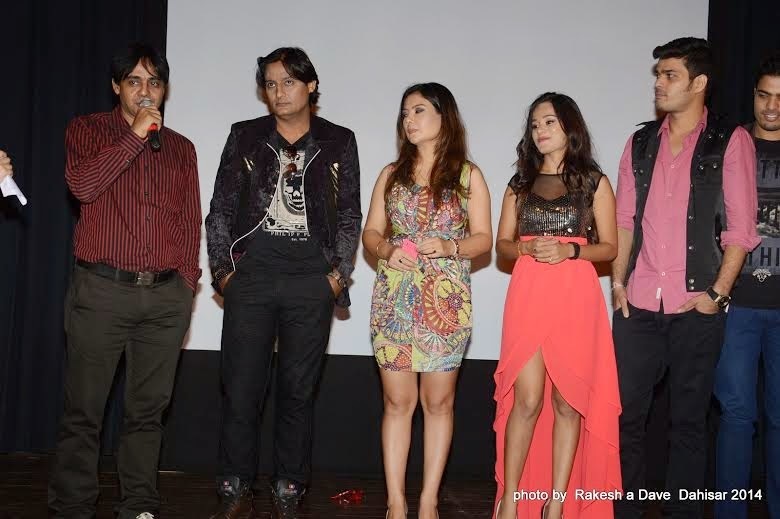 All cast & crew along with TWO LITTLE INDIANS fame director Ravi Bhatia were present in the event. The managing director of Sampati group Jayesh Madiyar has announced first ASHWAMEDHA AWARDS-2014 in a press conference at Ramee Guestline Hotel, Juhu. The Socio, Entrtainment & Media Excellence Awards 2014 distribution ceremony will be held on 30th August at Iskon Auditorium, Juhu. Dushyant Singh of M4U Entertainment is awards director. Actor Arun Bakshi, singer Sanjeevni and lyricist Sudhakar Sharma were also present in the press conference.